We are a company that understands the needs of our clients when it comes to rubble removal in Claremont. Our company understands that the main key to growth is offering high quality customer service. By hiring us you can be sure that your residence or work place will be free from junk or rubble. Our able team is accustomed to dealing with industrial, residential and commercial clients in a fast and safe way. Our rubble removal team comprises of employees that are well trained to operate all the advanced machinery that we have. Whether you are a homeowner or an office owner, you can be sure that we will provide efficient site clean ups at a reasonable price. Our rubble removal Claremont services are meant to make your life easier! We offer a range of services, including site levelling, demolition clearance and junk removal. We are also available for TLB & Bobcat hire. 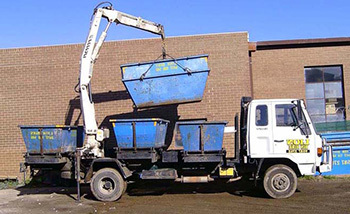 In addition to this, we also rent out industrial machinery which include Tipper hire services. Whatever your requirements may be, give us a call at 012 004 1846 for a free quote!